Lemurs, the arboreal primates that inhabit the island of Madagascar, are essentially a relict fauna that reflects much of the primate diversity which existed during the Eocene. Although these "lower" primates traditionally are regarded as a homogeneous group which underwent extensive adaptive radiation in isolation, in fact several founding primate stocks may have contributed to the founding of the Malagasy fauna, some of which may not have been preserved in the known fossil record. If there is one general attribute of the lemurs upon which all students of the primates agree, it is that they provide a living model of the early stages of primate evolution. The Primates of Madagascar provides the most comprehensive description to date of the biology of these fascinating animals. Beginning with a history of lemur studies from the earliest explorers to modern field researchers, Ian Tattersall provides a detailed environmental account of Madagascar and its geological evolution. He discusses the sites that have yielded subfossil lemurs, the morphology of the subfossils, and their relationships to the surviving lemur fauna. Tattersall catalogs the living species of lemurs, providing cytogenic and biochemical data, geographical and ecological distributions, and morphological characteristics. 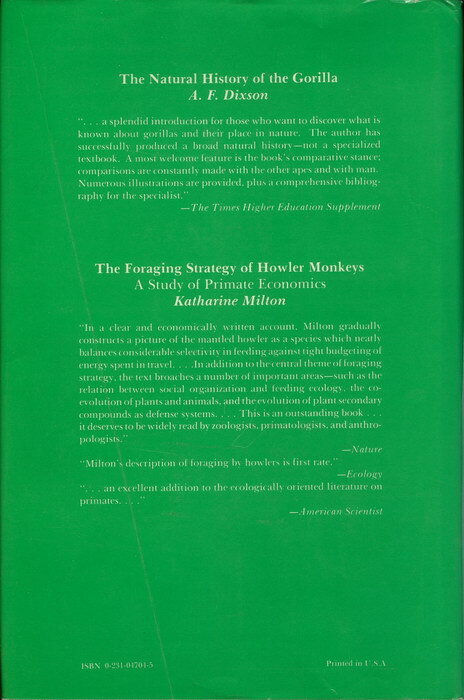 He details the ecology and behavior of the lemurs, examining their habitat preferences, reproductive patterns and physiology, diet and feeding behavior, and social organization, and their phylogenetic diversity. His study concludes with an examination of the remaining lemur population and its prospects for survival. The Primates of Madagascar will be of immense value to primatologists, zoologists, and anthropologists. Ian Tattersall is curator in the department of anthropology at the American Museum of Natural History. 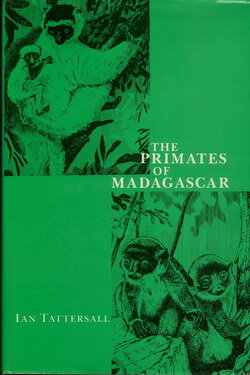 His interest in the Malagasy primates was first kindled in 1969 when he visited Madagascar to study the extinct lemurs. He has subsequently carried out extensive fieldwork on the living lemur fauna of both Madagascar and the Comoro Islands.